The City of Charleston recently received assistance from FEMA to create a new City of Charleston specific Hazard Mitigation Plan. Hazard mitigation describes actions taken to help reduce or eliminate long-term risks caused by hazards or disasters such as flooding, earthquakes, wildfires etc. This project is scheduled to commence in mid to late 2019, and is funded by a FEMA Hazard Mitigation Grant program award. The new plan will identify specific actions the City can take to help reduce or eliminate long-term risks posed by multiple hazards. It will use the Vulnerability Assessment results as the starting point to commence the plan. It will involve citizen and stakeholder input. The plan will focus on the entire city and is intended to highlight various projects both big and small that can help to reduce our risk through proper mitigation planning. It will align and be synergistic with Charleston County's regional Hazard Mitigation Plan. 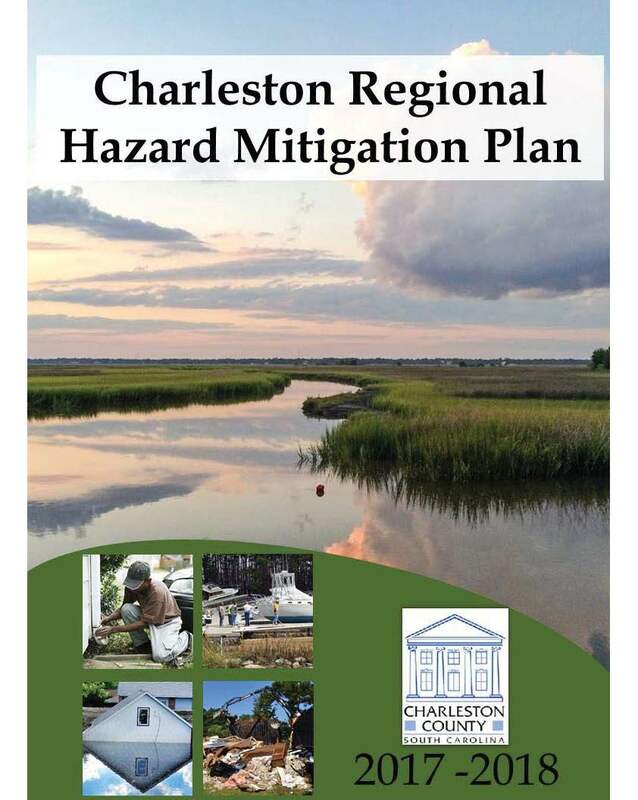 VIEW the Charleston Regional Hazard Mitigation Plan (2017-2018).